Well, if the New York Times was wondering whether moving Amy Chozick to cover the Clintons was a good move, apparently it was a stroke of genius! 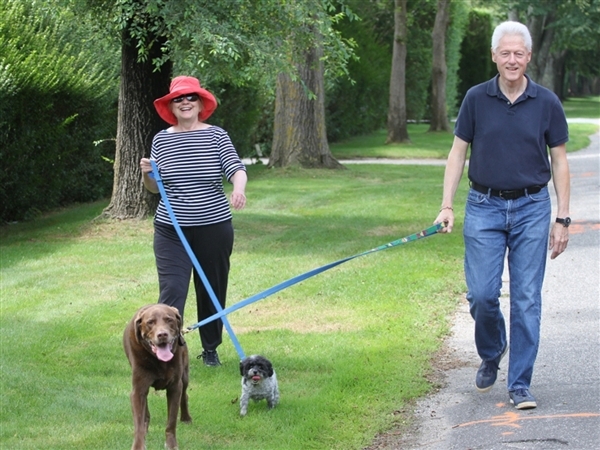 One thing we have known over all of our years here following the Clintons in the summer is that there is no such thing as a “whole month of August in the Hamptons.” That is either a dream (on their part) or a myth (to us). It has never happened. Hillary got fewer than 10 days there last year. Chozick along with her cohort, Jim Rutenberg, have an update to share about this month’s vacation on the island to be enjoyed, we hope, by our favorite couple. 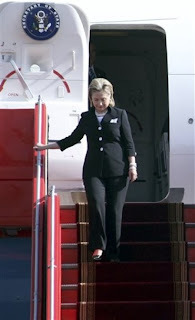 Hillary still has a few appearances to make on Monday – in Las Vegas to speak at the NACDS New Total Store Expo Breakfast and San Francisco to receive the ABA Medal., but after that, she should be free as a seagull … for a little while, anyway. Congratulations, Mme. Secretary! 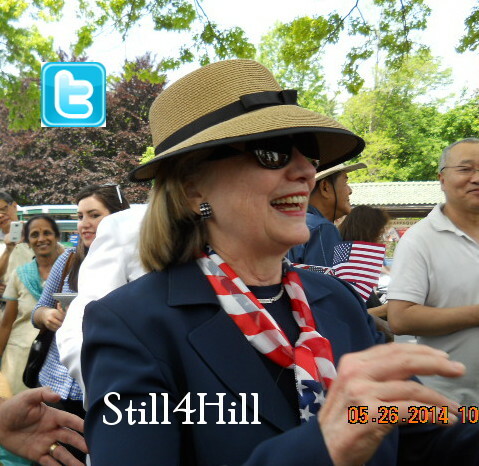 Earlier this summer, Bill and Hillary Rodham Clinton were reported to be planning a month long vacation in East Hampton. But if it seemed like a peculiarly long stretch of downtime for such well-known workaholics, that is because it was. Both have spent the first part of August at work traveling — Mr. Clinton in Africa, Mrs. Clinton in California and elsewhere. And, contrary to earlier reports, they will not be staying the month at the East Hampton home of the developer Elie Hirschfeld that they have rented the past two summers but, rather, at an estate near the ocean in Sagaponack, some five miles to the west. 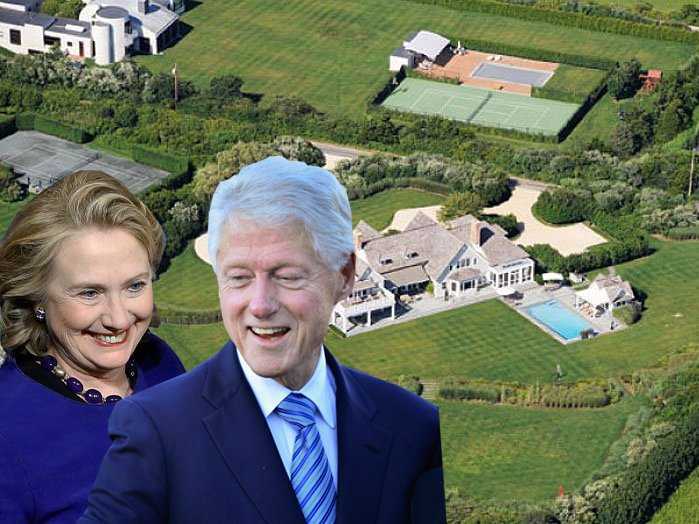 The New York Times is reporting that Bill and Hillary Clinton will be enjoying their Hamptons downtime in a different mansion than the one they usually rent this month.For the past two years, the Clintons have stayed at the East Hampton home of real estate developer Elie Hirschfeld. This year, however, they’re renting the $200,000-a-month Sagaponack mansion of Republican donor Michael Saperstein, according to The Daily Mail. The metaphor of Hillary Clinton waiting in the wings has run through these pages before in both words and images. Hillary Clinton can look tantalizingly attractive as she waits to take the podium, and, for her supporters, the natural thought progression migrates to the steps of the Capitol on a January morning in 2017 in the rough-and-tumble, lickety-split manner of The Pokey Little Puppy‘s litter mates. 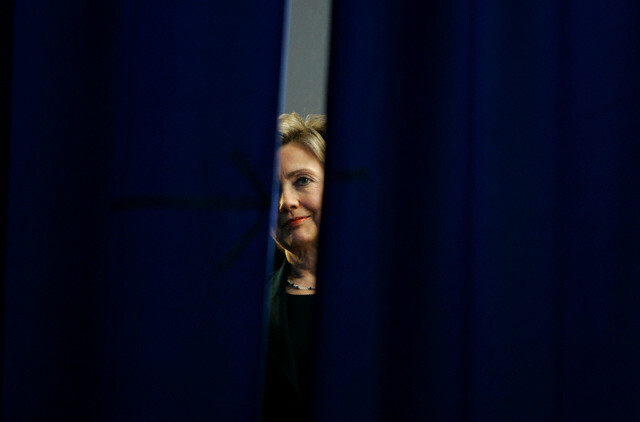 U.S. Secretary of State Hillary Clinton waits to walk onto stage to speak at the third annual U.S.-China Strategic and Economic Dialogue (S&ED) at the Department of the Interior in Washington May 9, 2011. 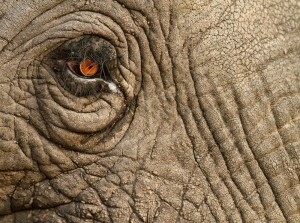 How fitting that the week and month that begin with April Fool’s Day should herald Mme. Secretary’s first three public speaking engagements as she emerges from her cocoon as a full-blown private citizen for the first time in decades while, in the outside world, Hillary-Fever hits epidemic proportions making fools of some. 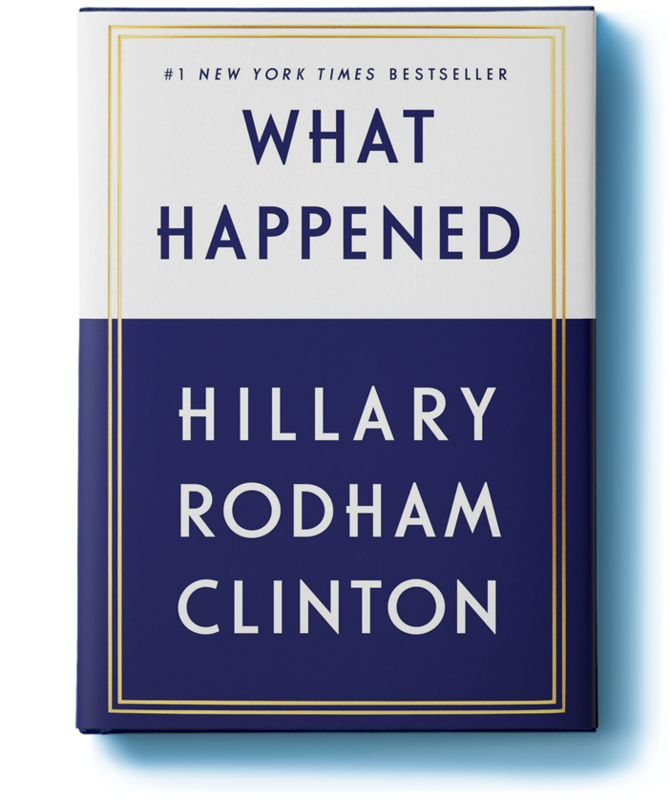 In cable media, every self-respecting host devotes at least one segment to the Hillary Effect while the print media, bloggers, and Facebook groups offer, according to their place on the political spectrum, varied speculation on what Hillary Clinton could possibly be up to as she so coquettishly keeps us waiting for her answer to the Big Question. Memory can be short. 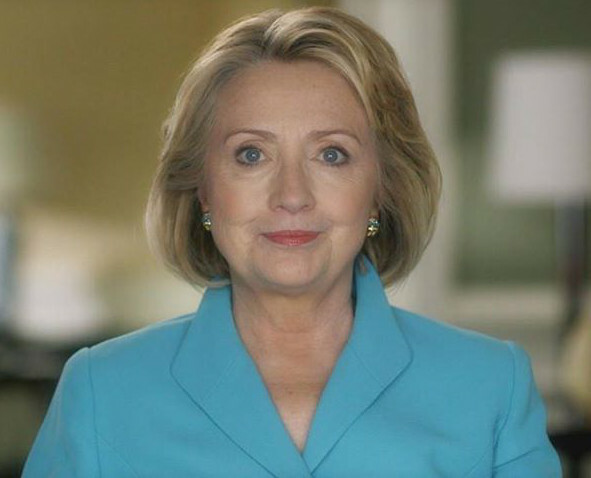 Those who stood shoulder to shoulder with Hillary through the brutal 2008 primary campaign tend to be more circumspect about what a campaign would entail, how it might roll out, and the degree to which Hillary’s current sky high poll numbers might hold in a campaign setting. Ironically, among some of the louder and more self-assured voices are those who assaulted her most viciously in 2008. On his Sunday show yesterday, Chris Matthews stated with all the certainty in the world that “Hillary Clinton has given every indication that she is running…” which, of course she has not and has taken pains to avoid. At counterpoint to this is Jim Rutenberg in yesterday’s New York Times who actually took the trouble to speak with Hillary’s spokesman Philippe Reines and exuded no such certainty. It is not a stretch to imagine Matthews and his ilk to be dangling her out there as a pretty, candy-filled piñata waiting to be bashed once again when the new flavor of the month arises. Who that might be I leave to speculation, but judging from responses to my tweets and Facebook posts a particular name proliferates. True Hillary loyalists must regard current endorsements and their sources with a glance in the rear view mirror and a healthy dose of skepticism. The only credible news is that Hillary Clinton will speak twice this week. Tomorrow in Washington D.C. at Kennedy Center for the annual Vital Voices Global Leadership Awards and again on Friday at Lincoln Center in New York at the annual Women in the World Summit. Her first official paid speaking event is scheduled for April 24 in Dallas. 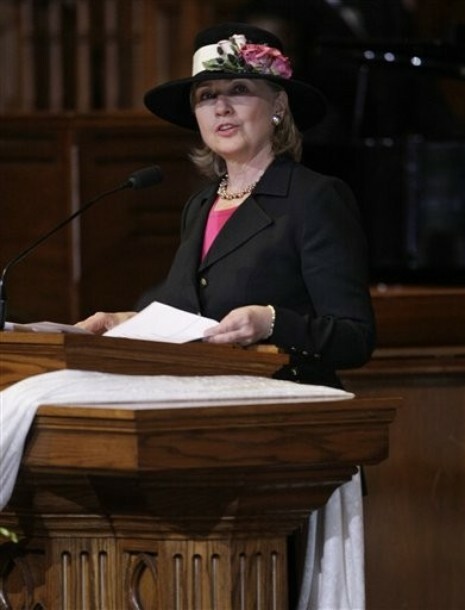 Despite a rally scheduled for tomorrow evening outside Kennedy Center and promoted by the Ready for Hillary SuperPAC, it is most unlikely that what we will hear her say will have anything to do with running for president. It is far more likely, as reflected in Kathleen Parker’s excellent piece in Newsweek for Women in the World, that we shall hear her directly address the question of how her initiatives for women, established under the the auspices of the State Department, will continue now that she no longer occupies her State Department post. The Hillary Effect has spread across the globe. But how well will it last without Hillary at the helm? Aside from a summary of how her agenda remains underpinned at the State Department, it seems realistic to expect an announcement of some private initiative on her part to continue addressing women’s issues on a global basis. At both of these events she will have no dearth of strong women leaders from all over the world surrounding her who surely would join any campaign she embarks upon to advance the causes – the many causes of women – from education, to security in sending one’s children to school, to human trafficking, to marrying whom one chooses, to running businesses and running for political office. While the next presidential election remains years away, daily, in many cultures, child brides are promised like chattel. Assuredly, Mme. Secretary timed her marriage equality video for release prior to last week’s SCOTUS arguments, but the message resounds more broadly than the LGBT community, and women, who drive economies, who are the growers, makers, students, educators, and shoppers have their greatest impact when they are free rather than subjugated by fathers and by husbands they have not chosen. That aspect of marriage equality, the full equality of citizens, and its implications for women and girls is likely to arise among the many issues confronting women in the world today. 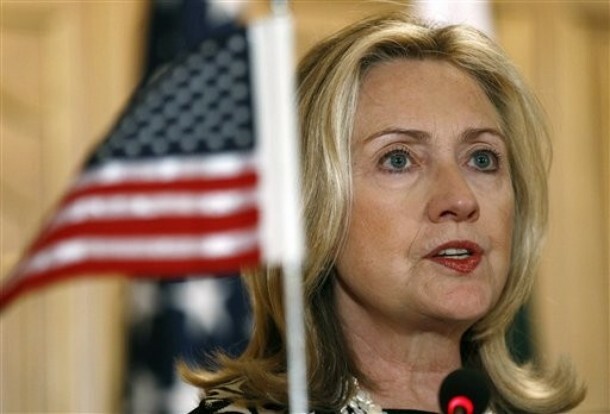 No, it is not likely that Hillary Clinton will have an announcement about a presidential campaign when she emerges from behind her curtain this week, but there is certain to be a campaign nonetheless. 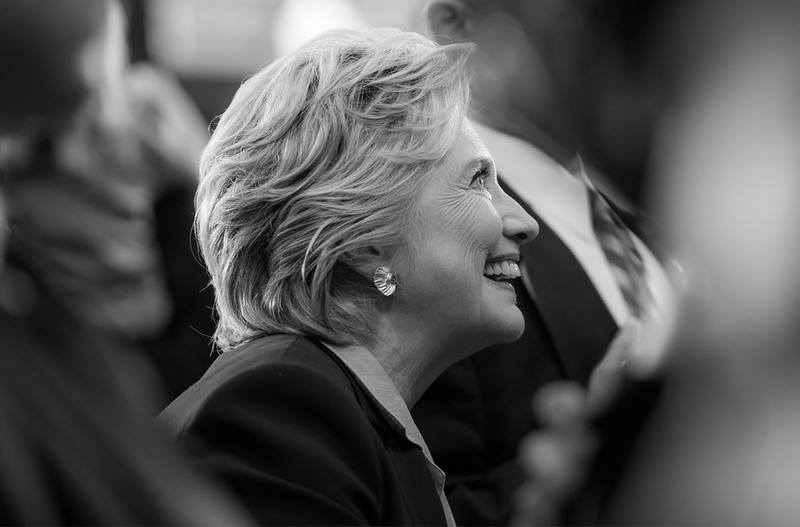 There will be a platform, and as is always the case with Hillary Clinton, there will also be a blueprint for building the social structure she conceives. Rutenberg goes on to offer this. Those who are most connected to her exhaustive network of political financiers — some of whom remained in her orbit with plum invitations to official diplomatic soirees — say its most important members will make no move until she gives the signal. Yes, there are those insisting that they know she is running. Clearly, according to the above, these folks would not be among the “most important members” and “have gotten way ahead of her,” as Reines put it. 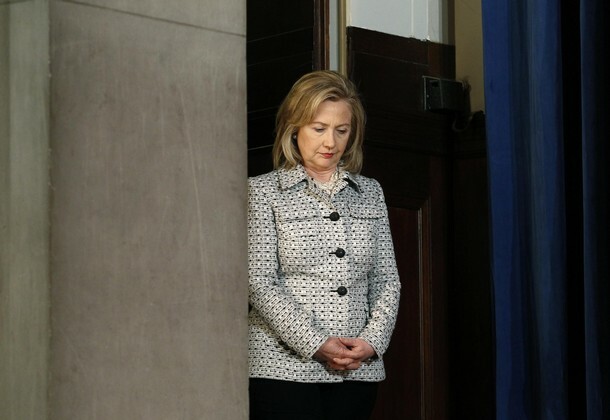 So what is Hillary Clinton doing now with this mysterious little office? These days, Mrs. Clinton is devoting much of her time to her next book, about her years in the State Department. She is also debating how best to continue her work on women’s issues, which she could do either through her husband’s foundation or one she may start on her own. 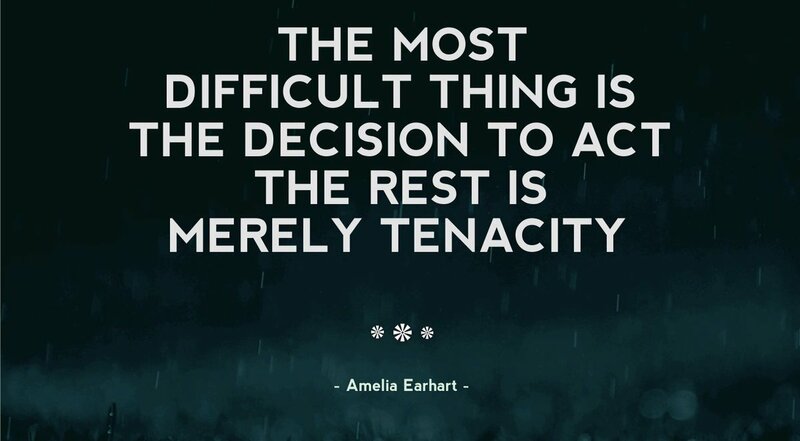 It is no secret that many would love to see her make the run, but that is her decision to make, and she has not made it. If anyone assures you that he or she knows for certain that her hat is in the ring, that person is talking through his or her hat! Read the article here and Happy Easter, all!